It’s officially the New Year and that means a clean slate for 2018. Clean is the theme as efforts to lower our environmental impact are top of mind all over the planet. Everywhere people are posting and sharing their ambitious green resolutions for the year, but have you ever stopped to think about resolutions you can make as a community? 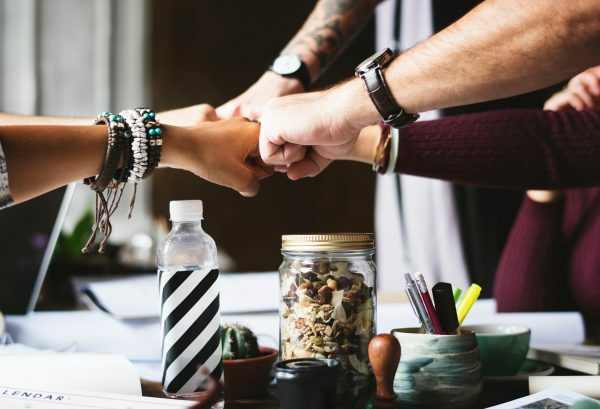 Instead of setting resolutions for yourself in 2018, try setting them as a team for your office or business and work together to meet your recycling program goals. Not only can you reduce your carbon footprint but by becoming more sustainable, you can save yourself and your business money. 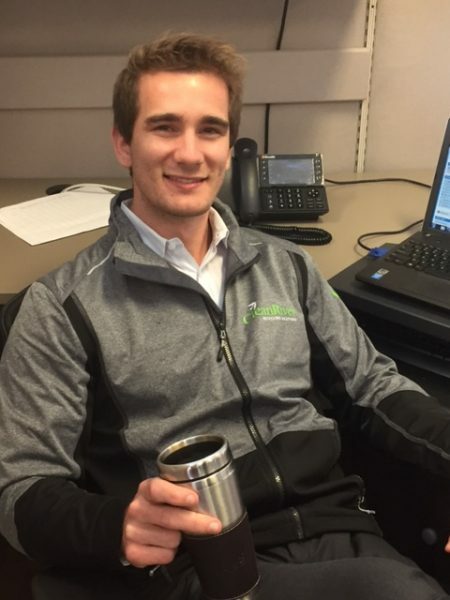 CleanRiver Sales Rep with reusable branded mug. Ok, we know we can’t mess with our morning coffee at the office, but you can change the way you and your employees consume it. The average North American Office worker uses 500 disposable cups a year, and throws away 2.5 million plastic bottles every hour. Reduce your waste and prevent coffee cups and plastic bottles from filling up your waste and recycling streams by providing employees with their own reusable mug and water bottle (you can even brand it like we did for our staff). 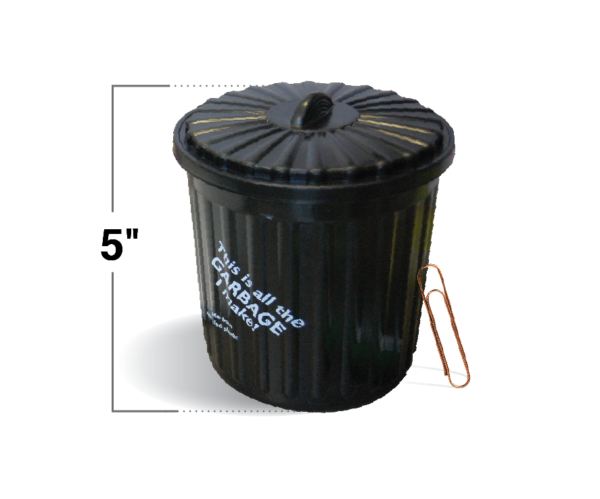 When it comes to initial funding to start a recycling program, many businesses do not have the budget available. That’s why it’s important to look into start up grants that are available through your state or province. Whether it’s a government green grant for recycling businesses or other types of programs that are more generic, there is lots of money out there for the taking, you just have to do a little bit of research of which funding programs you may be eligible for. 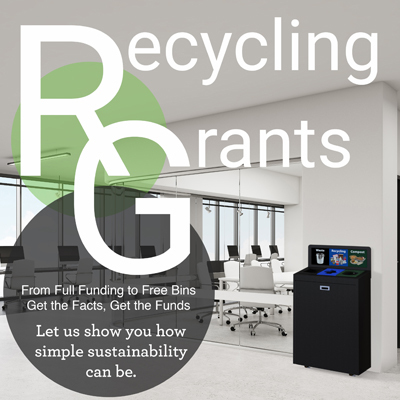 For simple steps to help you get started check out our Ebook Recycling Grants: What are they and How to get them and check out website for a detailed list of many of the recycling grants available in North America: https://cleanriver.com/blog/grants/. 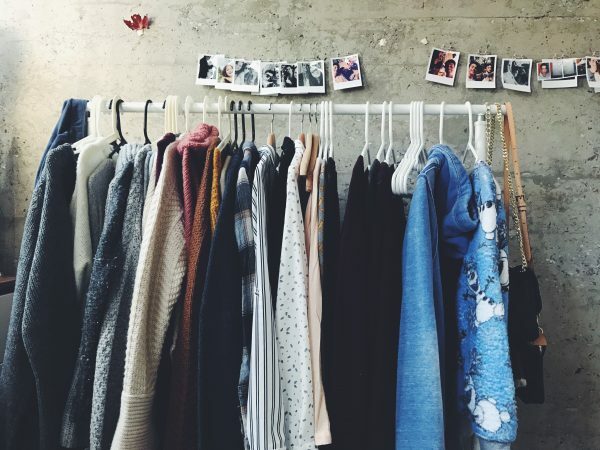 For your next social committee event try a clothing swap, inviting all employees to participate. Avoid consumerism and the damage that the fashion industry has on the environment by participating in the swap for “new” clothing items. Bring any unwanted clothes, shoes or accessories to the event and all items are fair game to trade, barter and donate to fellow employees and breath new life into your closet. Implementing a recycling program can be a daunting task for just one person. 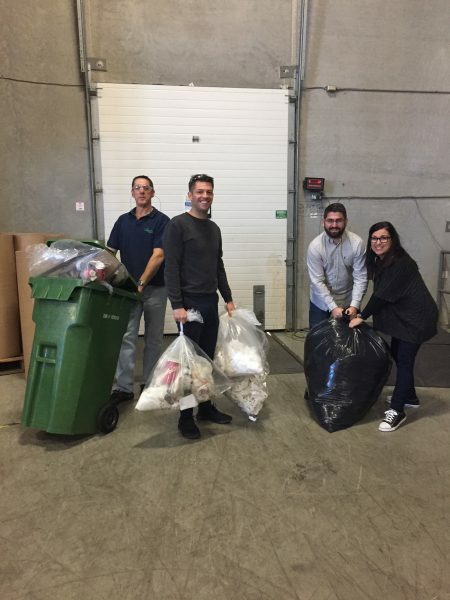 Recruit team members from different departments so you get everyone’s perspective on what a successful office recycling program looks like to them. Check out our Blog Use Lean To Get Green for the Lean Six Sigma to improve your organizations performance by systematically removing waste. CleanRiver GreenTeam conducting monthly waste audit. Waste audits can be an eye-opening experience as they often identify wasteful practices that translate into soft dollar losses from a financial perspective. They can also highlight areas of hazard that Health & Safety need to beware. Get a clear understanding of your organization’s waste habits, streams and areas of improvement to help set clear goals for the rest of the year. Use our Ebook: A How To Guide For Waste Audit Success to help you get started. A vegetarian or vegan diet does wonders for your health, waistline and your wallet. But most importantly, minimizing your meat intake helps reduce greenhouse gases, the water usage and energy required for livestock and the fuel dependence needed to produce grain for livestock. So start simply by launching a Meatless Monday at your office. Send out recipes and promote the movement internally. Even try a potluck to get it started and encourage everyone to bring meatless meals and if you have a cafeteria work with the kitchen to ensure a meatless menu. Single use plastics are so 2016! It’s time to let go of bad habits and Choose to Refuse Single- Use Plastics. Start small at first within your office and try giving up water bottles or plastics bags for the month of January and then build from there. At CleanRiver we took the #StopSucking Challenge and made a commitment to stop using plastic straws. 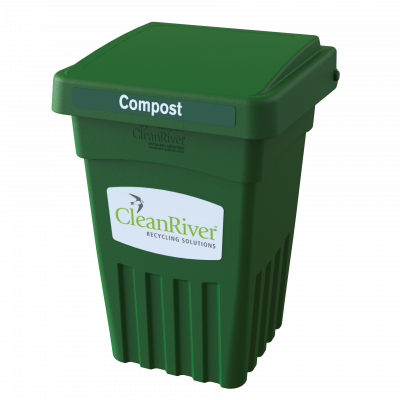 CleanRiver BevvyBin8 for organics collection. Ditch the old brown bag lunch for a reusable lunch bag. Cloth grocery bags, mini coolers and old school lunch boxes are all great options that can be reused for years. 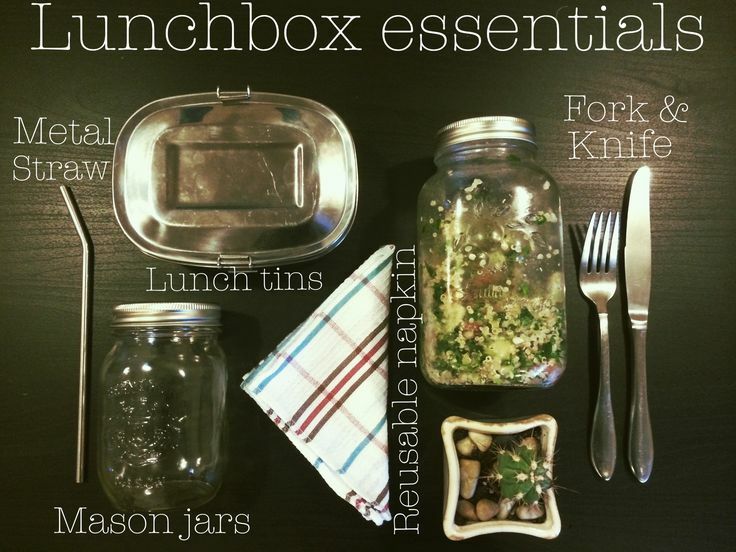 No need for plastic zip locks for your sandwich, use reusable Tupperware or glass containers to heat up your lunch. Commit to reducing paper usage in your office internally and externally. Use electronic documents and double side printing whenever possible. For more information on how to start a recycling program, check out our past blogs 3 Ways To Convince Your Boss To Start A Recycling Program and How To Get A Recycling Grant.